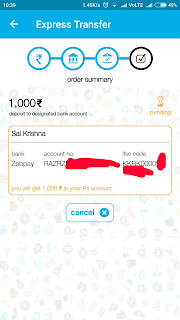 Once verification is done by ZabPay then you can buy, sell and earn money through ZabPay.If you don't know how to get verified your email, Pan, Bank Account details, and Adhar Card details then check this post written by me.How to get started with ZabPay. 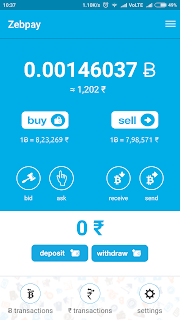 If you want to buy Bitcoins from ZabPay first you have to deposit money into ZabPay.Once the money is deposited into ZabPay then you can buy Bitcoins.First I will show you how to deposit money into ZabPay then I will show you how to buy Bitcoins in ZabPay. 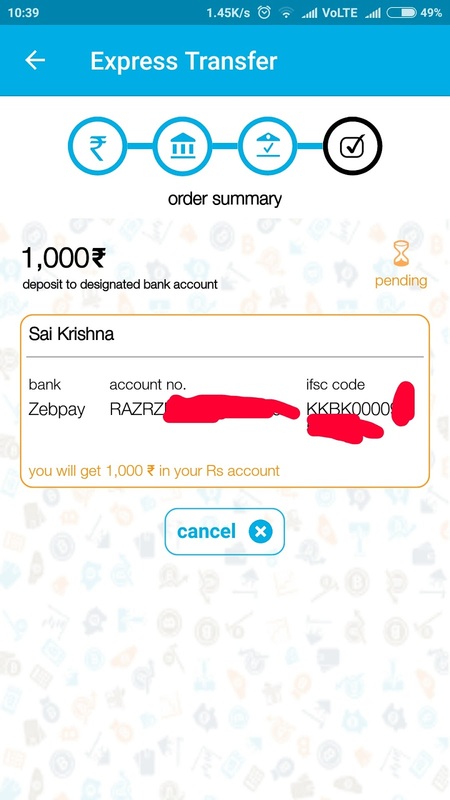 When you open ZabPay app on the home screen you find deposit option click on it. Then you redirect to deposit screen. 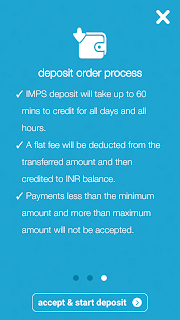 Here you find two options to deposit money. 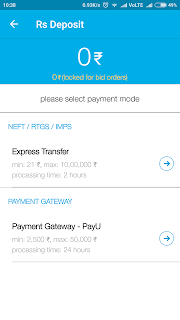 I recommend you to deposit your money through Express Transfer, not through Payment Gateway. 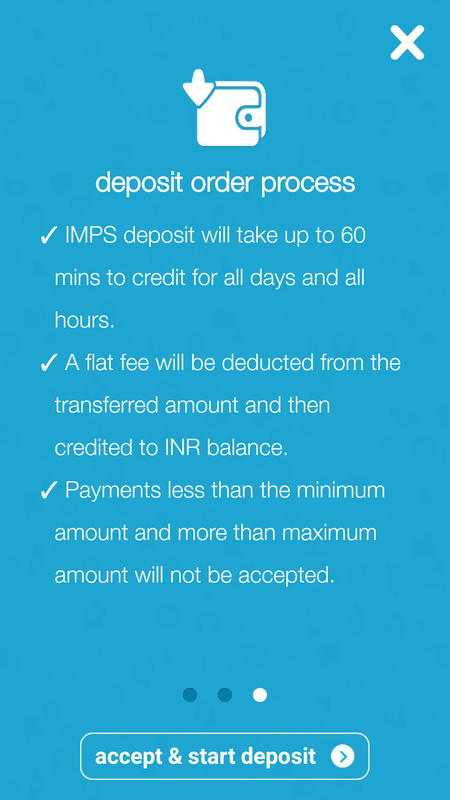 Why because if you deposit through Payment Gateway they charge some money to process depending on the amount you transfer whereas if you deposit through Express Transfer they don't charge anything it's free.How much you want to deposit you should pay only that money. 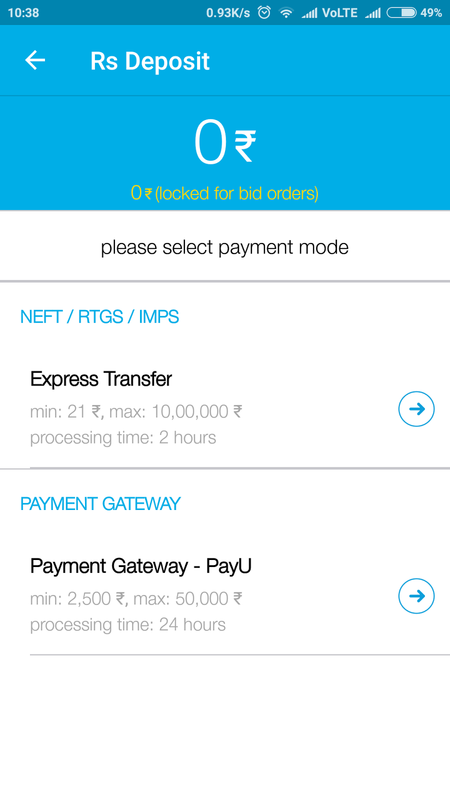 So click on Express Transfer then you will be redirected to this screen. 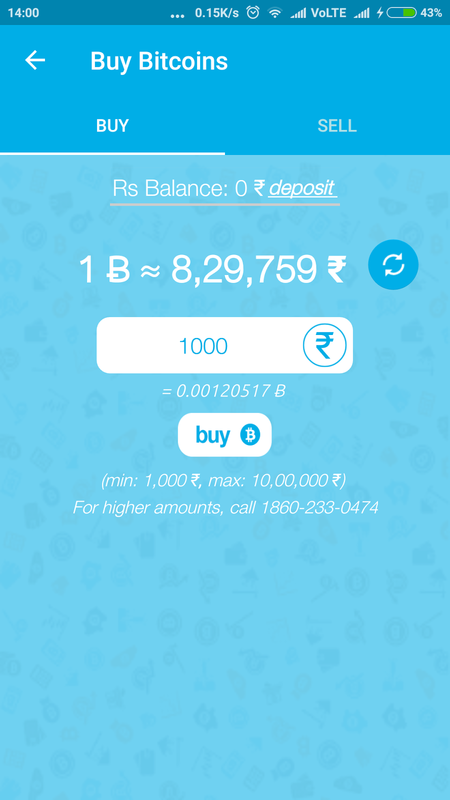 Enter the amount you want to deposit(must be above Rs.21 but deposit at least Rs.1000 as it must be Rs.1000 or more if you want to buy Bitcoins).I am entering Rs.1000.Then click next. Read these instructions carefully and click agree & continue. 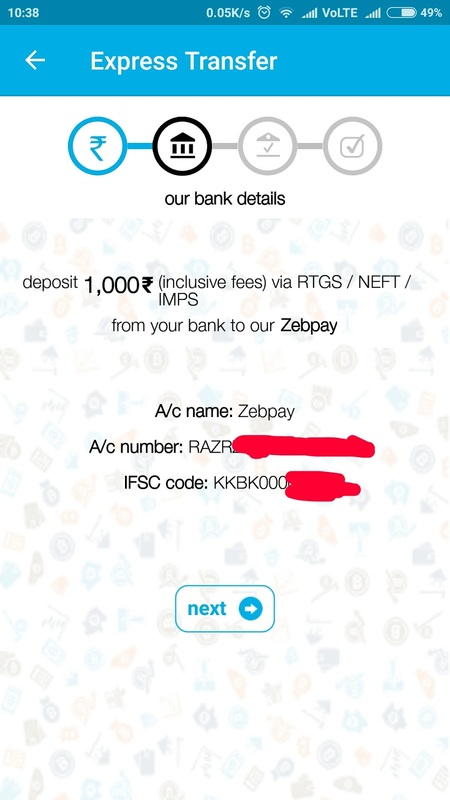 Take the screenshot of above screen on your mobile as the A/c Name, A/c Number and IFSC code are required.We have to transfer money to this account.Then click next. Here check your Account details.You have to transfer money from this account itself.Then click on Place deposit order. Now you have placed the deposit order successfully and it shows the status as Pending.To make the status as Success you have to transfer Rs.1000 to their virtual account they have provided i.e. 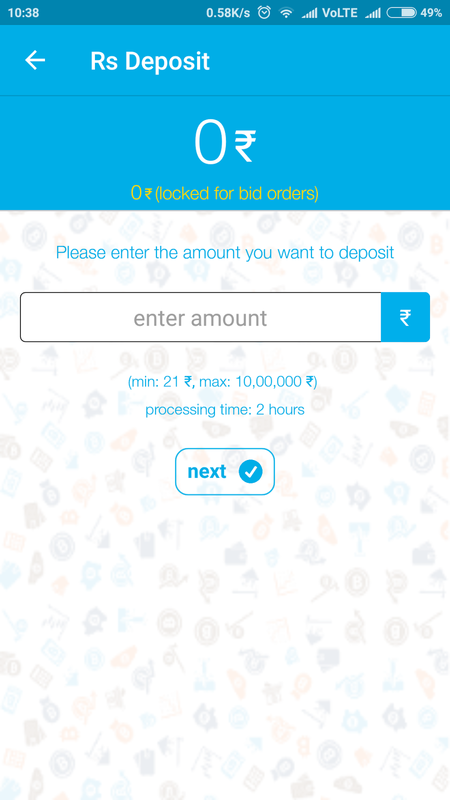 which we took the screenshot when we are placing deposit order or the bank details available in the above image. 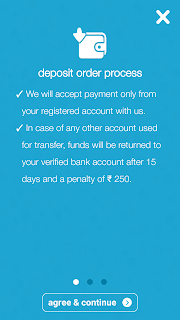 Now you go to the Internet banking of the respective bank.The bank account details which you have provided while verification.You have to transfer from that account itself otherwise if you pay from any other account they won't updated and if ask for the refund they charge Rs.250 as a penalty and they will refund.The refund will be processed within 15 days. 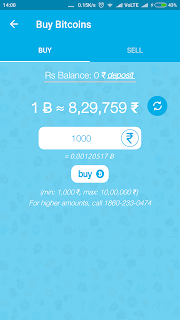 Once you transfer amount from your account to their account then will be updated into your ZabPay wallet within 2 hours. 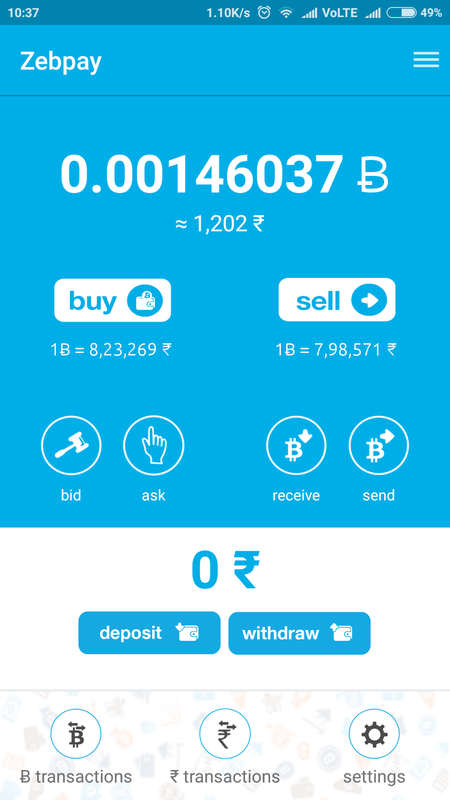 Once it is updated into your ZabPay wallet you will be notified.Open the app. 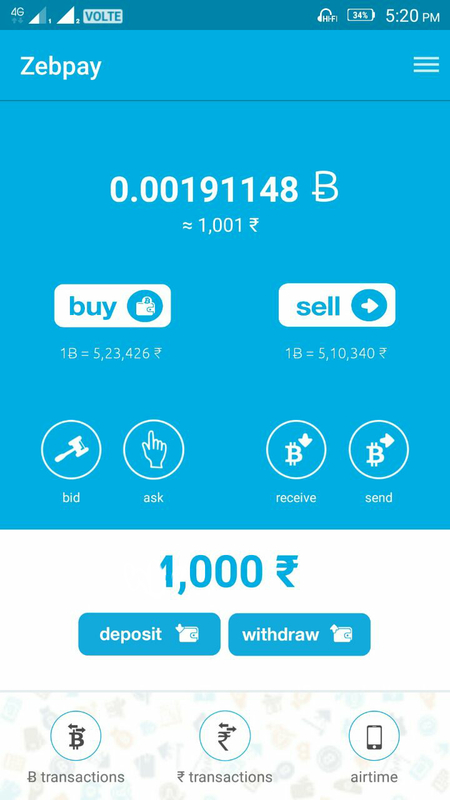 Now you can see the ZabPay wallet is having Rs.1000.You can buy the Bitcoins now. 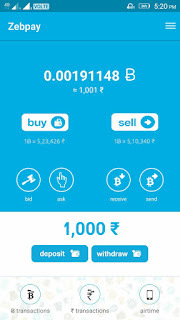 To buy Bitcoins click on Buy. 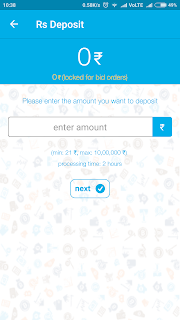 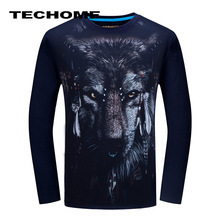 Enter the amount Rs.1000 and click on buy.That's it.